Discover famous Pompeii, the Roman city buried by the volcanic eruption of Mount Vesuvius in 79 A.D. and the nearby mysterious Villa Poppea in Oplontis (now a modern town called Torre Annunziata), a less well known archaeological site in the same area but definitely worth a visit for its splendid wall decorations. This tour includes a guided tour of around 3 hours in Pompeii, where we get a taste of the ancient Roman lifestyle, visiting the houses, the public Forum, the temples, the taverns and the entertainment buildings. 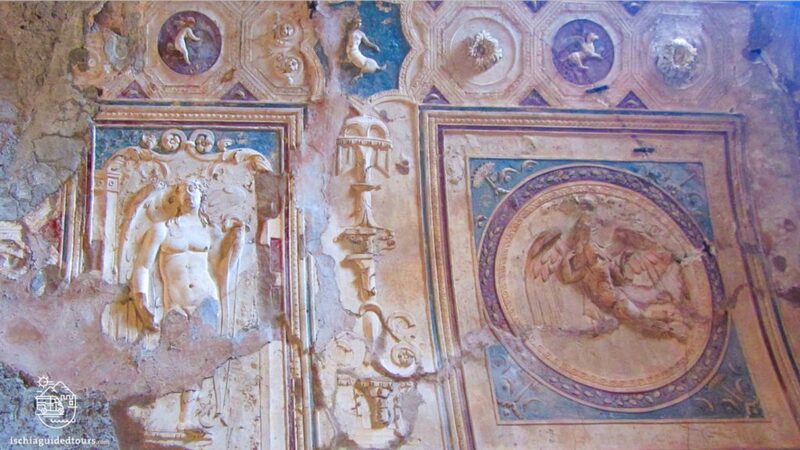 Then, a guided tour of around an hour at Oplontis, to visit the magnificent Poppea Villa, the private villa owned by a wealthy family in the first century A.D. Both locations are reachable from Naples by public transport or private taxi. The full day tour takes approx. 6 hours.